ISTANBUL, (PIC)-- Turkish lawyer Adam Yildirim has lodged a complaint with the Office of the Attorney General in Istanbul, against Gilad Sharon, the son of former Israeli Prime Minister Ariel Sharon, accusing him of "committing a crime against humanity." The Mavi Marmara Istanbul Palace of Justice lawyers involved in the case of Adam Yildirim said that Gilad's statement to the Israeli press has to be considered as "a war crime and a crime against humanity". “We need to flatten entire neighborhoods in Gaza. Flatten all of Gaza. The Americans didn’t stop with Hiroshima – the Japanese weren’t surrendering fast enough, so they hit Nagasaki, too.” Gilad Sharon wrote in the Jerusalem Post. The Turkish lawyer pointed out that the international community does not respond adequately to the Israeli oppressive practices, and turn a blind eye to the violation of international law by the Israeli entity. I bear my responsibility for the sake of Palestine and of all humanity, the lawyer said, adding that he had made a criminal complaint in order to punish the Israeli officer "Gilad Sharon" for committing a crime against humanity. Turkish Prime Minister, Recep Tayyip Erdogan, stated that he intends to visit the Gaza Strip soon, to express solidarity with the Palestinian people. Erdogan told the Today’s Zaman Turkish daily that he will be inviting Palestinian President, Mahmoud Abbas, to accompany him to the coastal region, to end internal divisions between the rival Fateh and Hamas movements. As for Turkish-Israeli relations, Erdogan stated that lifting the Israeli siege imposed on Gaza is one of the Turkish demands to restore the Turkish-Israeli relations, and added that Israeli Prime Minister, Benjamin Netanyahu, sent letters through foreign diplomats in an attempt to mend the relations between the two countries. Talking to the German Chancellor, Angela Merkel, Erdogan stated that the crisis in the Turkish-Israeli relations, and the Palestinian-Israeli relations, are all related to Israeli violations against the Palestinian people, and Israel’s illegal siege on Gaza. He said that the Turkish relations with Tel Aviv cannot be mended before Israel abides by three main conditions; lifting the siege on Gaza, apologizing to Turkey and paying compensation to the families of the Turkish nationals who were killed by the Israeli army when Israeli soldiers pirated the MV Marara solidarity ship, that was heading to Gaza, In late May 2010, killing nine Turkish activists. Hamad Bin Khalifa Al-Thani, visited the coastal region to express solidarity with the Palestinian people, and to challenge Israel's illegal siege. A report says the United States keeps about 70 B61 nuclear bombs at a military base in southern Turkey. According to a recent report published by the Arabic Nakhel news agency, Turkish sources said the bombs are kept at Turkey’s Incirlik Air Base in Adana province. The thermonuclear bomb, which is 3.53 meters long and weighs 320 kilograms, is considered as one of the most strategic weapons of the US. Between 10 to 20 of the bombs were stored at Turkey’s Balikesir and Ekinci airbases before they were transferred to Incirlik, the report said. Turkey is also home to a controversial NATO radar base manned by US forces, which is part of a larger US-led missile system. The missile system became operational in Turkey’s eastern province of Malatya in early 2012. Some leading Turkish politicians and lawmakers have cautioned that the system will not be beneficial to Turkey and will only serve the interests of the Israeli regime. The stationing of the US-sponsored radar system in Turkey was hailed by American officials as the most significant military cooperation between Washington and Ankara since 2003, when Turkey refused to allow a US armored division to cross Turkish territory to join the military invasion of Iraq from the north. Reports say Turkey will return to Tel Aviv three drones made by the Israeli regime due to technical problems. Turkish military sources said Ankara purchased the drones four years ago to help the army fight the Kurdistan Workers’ Party (PKK) members. The Israeli regime has rejected repeated requests by Ankara to repair the aircraft. Turkey says one of the drones crashed while operating on a mission in the southeast of the country and the other two have not been used over the past eight months due to technical problems. Turkey will still be in possession of 10 Israeli unmanned aerial vehicles if it returns the three aircraft to Israel. The drones are stationed in Batman Air Base in southeastern Turkey and can reach a top speed of 100 km/h at an altitude of 5,400 meters. The latest development comes amid reports that Turkish and Israeli officials have been engaged in secret ties since the Tel Aviv regime’s 2010 attack on a Gaza-bound Turkish ship that killed nine Turkish activists. Ankara-Tel Aviv relations soured following the deadly incident. ISTANBUL, (PIC)-- Turkish Prime Minister Recep Tayyip Erdogan renewed his rejection to restore his country's relations with the Zionist entity, refusing mediation by a U.S. businessman in this regard. Turkish newspaper "al-Shafak al-Jadid" reported that Erdogan met, in the capital Ankara, Ronald Lauder, a Jewish-American businessman who offered "to defuse the crisis between Turkey and the Zionist entity." The paper stated that Erdogan said Turkey had three conditions for restoring ties with Israel, namely, that it apologizes for the 2010 Mavi Marmara raid that killed nine Turkish activists, pays compensation to the families of the victims and lifts the blockade on Gaza. “They sent the richest Jewish man in the world [to us] a couple of months ago. What was the reason? He was supposed to be intercessor,” said Erdogan, stressing that simply apologizing is not enough for normalization with Israel. The Turkish Prime Minister noted that Israeli occupation is currently feeling isolated. He stated that he had emphasized on the three conditions while speaking to leaders of America, Russia and United Kingdom, who tried to mediate to resolve the issue, mentioning that the former Italian leader Silvio Berlusconi was the first to intervene in this regard. Israeli Prime Minister Benjamin Netanyahu has made a stab at mending strained relations with Turkey by saying that the duo are fighting for the same objective in Syria. “We both have a border with Syria, and I am sure we both want to see a stable and peaceful Syria,” Netanyahu said of Ankara in an interview with The Jerusalem Post on Friday. Netanyahu’s attempt at reconciliation with Turkey comes more than two years after an Israeli attack on a Gaza-bound aid flotilla in which nine Turkish activists were killed, prompting the Turkish government to cut all diplomatic relations with its former ally. “There are other common interests that come to mind. I think it is in our common interest to find a way to be able to stop, to arrest, the slide in our relationship and resume a fruitful dialogue,” the Israeli premier added. Turkey has demanded an official apology from the Israeli regime for the deadly attack on the flotilla, compensation to the families of the victims and an end to the blockade of Gaza as preconditions for the normalization of the mutual relations, demands that Tel Aviv has so far refused to fulfill. However, as dramatic changes continue to sweep the Arab world and people in the Middle East region can express their anti-Israeli and anti-American sentiments freely in the absence of autocratic regimes closely aligned with Washington and Tel Aviv, Netanyahu is clutching at straws to avert further isolation of his regime in a region that is being homogenized more than ever. Even the Israeli public has come to this understanding that rekindling the friendship with Turkey can salvage their standing in the region. A recent poll conducted by The Israeli Institute for Regional Foreign Policies indicates that 54 percent of Israelis would back the idea of fixing ties with Turkey as well as an apology from Tel Aviv for the killing of the nine Turkish activists in the 2010 attack. This comes as the government of Turkish Prime Minister Recep Tayyip Erdogan and Western powers-allies of the Israeli regime-have joined hands to bring about the downfall of the Syrian President Bashar al-Assad by providing the insurgents in the Arab country with weapons and communications equipment to escalate the crisis in Syria and block any chances of dialogue between the Syrian government and opposition groups. KIEV (Reuters) -- Turkish Prime Minister Tayyip Erdogan said Thursday anyone wishing to mediate an end to a two-year rift between Turkey and Israel should not waste their time unless they could guarantee all of Ankara's demands would be met. Turkish and Israeli media have said the United States is trying to mediate an end to the dispute but Israeli and Turkish officials have not commented on the reports. Relations between the Muslim NATO power and Israel fell apart in May 2010 after Israeli commandos raided a Turkish aid ship to enforce a naval blockade of the Gaza Strip and killed nine Turks in clashes with activists on board. Relations between the two countries, both vital allies of Washington in an unstable region, have been deadlocked since. Turkey says for ties to be normalized Israel must apologize, pay compensation to the families of the dead and lift the Gaza blockade. Israel, which denies wrongdoing, has offered statements of regret, rather than contrition. "Our response to those who have called us to talk about Israel has been clear. As long as Israel fails to meet any of these conditions, normalization is not possible," Erdogan told reporters during a visit to the Ukrainian capital. "If there is a mediator who can guarantee, ensure all three of these, we will say 'yes'. Otherwise, mediators should not waste their time," he said. Israeli Foreign Minister Avigdor Lieberman said last week he was open to issuing an "expression of regret on the killing of innocents", similar to a statement from the United States after it mistakenly killed 24 Pakistani troops last November. Turkish officials have made no direct comment on Lieberman's remarks but Erdogan's comments on Thursday suggested Ankara would not accept such a statement, which Lieberman said would not amount to an apology. Ship freed Sunday after invention by vessel owner. A Turkish cargo ship and its crew were held at the Ashdod port for three days at the end of the week following a dispute between an exporter and Alon Hassan, chairman of the workers’ committee at the port. According to the exporter, Moshe Shelly, Hassan spotted his own export company’s staff helping load scrap metal on the Turkish ship even though the job is supposedly reserved for the Ashdod port’s own workers. In response, Hassan allegedly instructed the port’s workers to stop loading the ship. Under the circumstances, Shelly asked that the ship go on its way without his export cargo, but the ship was barred from leaving the port. After intervention by the Turkish firm that owns the ship, the vessel, the Deniz Yildizi, was allowed to leave the port yesterday, but only after Shelly’s entry permit to the port was confiscated. Reacting to the incident, importer Moshe Rosenstein, who was a party to bringing the ship to Israel, told TheMarker: “It is intolerable for the workers’ committee, however strong it might be, to decide that a ship cannot leave. The ship docked at Ashdod port on Tuesday to unload iron construction materials and then to take on iron scrap metal before the dispute broke out. “Last Thursday, we were almost finished loading,” said Shelly, the exporter, “and just then Hassan came and saw the equipment operated by our people.” At that point the argument was said to have erupted, with Hassan claiming that Shelly was working on the ship contrary to accepted practice. Shelly denied this and said he was only arranging the cargo, although other sources at the port said he had been caught in the past violating accepted procedure. TheMarker was unable to obtain a response from Hassan, but the Ashdod port responded that operations are carried out there only by the port’s own workers, in part for safety reasons, adding that the exporter, Shelly, had operated equipment in violation of his own personal commitment to the contrary, and in the process was endangering himself and others at the port. Despite warnings, he did so again on Friday, the port administration said, adding that the ship was allowed to leave after port authorities investigated the incident. BETHLEHEM (Ma’an) -- Around a dozen Palestinians survived the sinking of a boat off the Turkish coast on Thursday, but it was not clear how many were among the casualties, the Palestinian embassy in Turkey said Friday. Over 60 migrants, more than half of them children, died after their overcrowded boat sank just tens of meters off Turkey's western Aegean coast. Turkish media said the reason the death toll was so high was because the women and children were in a locked compartment in the lower section of the vessel, although there was no official confirmation of this. Of the 46 people rescued alive, the Palestinian embassy said between 12 and 14 are Palestinian. The office said it was still working with Turkish authorities to try and identify the bodies. The boat was also carrying Syrians and Iraqis refugees, officials said. The ship's Turkish captain and assistant have been placed under arrest. 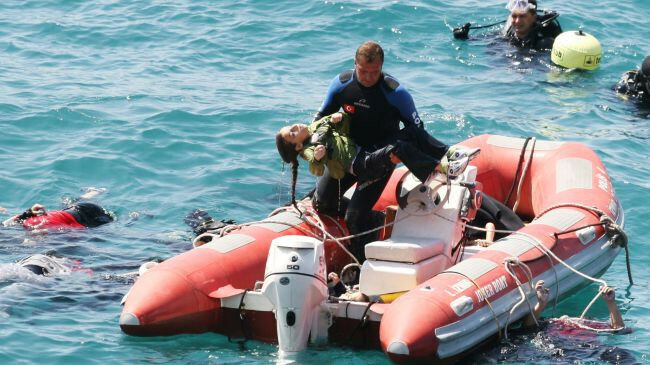 AHMETBEYLI, Turkey (Reuters) -- At least 61 migrants including Palestinians and Syrians, more than half of them children, died after their overcrowded boat sank just tens of meters off Turkey's western Aegean coast on Thursday, officials said. Tahsin Kurtbeyoglu, governor of the coastal district of Menderes in Izmir province, told Reuters an initial investigation showed the small vessel sank around dawn due to overcrowding. Its destination was unclear but the small Turkish town of Ahmetbeyli from where it set out is only a few kilometers from the Greek island of Samos. Greece is a common entry point for migrants trying to get into the European Union. Kurtbeyoglu said 46 people had so far been rescued alive, including the ship's Turkish captain and assistant, who had been placed under arrest. He said there were no bodies left on the boat and he did not expect the death toll to rise any further. The Izmir governor's office said the survivors were Palestinian and Syrian nationals and that they had been taken to Ahmetbeyli for health checks. Two people were admitted to hospital. Turkish media said there were also Iraqis on the boat, although that could not be confirmed. Turkey's position as a bridge from Asia to Europe, as well as its wealth compared with neighboring states, has long made it both a destination and a transit point for migrants from the Middle East and as far afield as Africa and South Asia. Its location also means it is a major destination for human trafficking, according to the International Organization for Migration, which helps governments to combat illegal migration. Chaos in Syria has prompted more to flee. More than 200,000 Syrians have crossed into Jordan, Iraq, Lebanon and especially Turkey since the uprising against President Bashar al-Assad erupted more than 17 months ago. From there, a determined and usually richer few press on to the EU borders, mainly into Greece, with most hoping for asylum further north. Turkey is sheltering about 80,000 Syrian refugees near its southeastern border with Syria, several hundred kilometers away on the other side of the country. Television footage showed small boats and diving teams searching for survivors just off Ahmetbeyli. The boat sank less than 100 metres (110 yards) from the shore after leaving at around 5:30 a.m. (02:30 GMT), officials said. The Greek island of Samos is clearly visible from Ahmetbeyli, which lies in a popular coastal region frequented by foreign and Turkish holiday makers. About 130,000 immigrants cross Greece's sea and land borders every year, the vast majority via Turkey. Greece received more than 1,000 migrants by sea last year, according to the United Nations refugee agency. Another 55,000 crossed the land border between Greece and Turkey at Evros, according to Greek government figures. Greece opened a purpose-built detention center for illegal migrants in April, the first of about 50 camps that Greek officials have said will be completed by mid-2013. The death toll from the sinking of a boat carrying immigrants off Turkey's western coast has jumped to 58. The incident occurred on Thursday morning near the town of Ahmetbeyli, Izmir Province, when vessel carrying more than 100 people hit rocks and capsized. Initial reports had put the death toll at 39, saying 51 people including the boat’s captain had been rescued. The boat’s final destination was not immediately clear, but local sources said it was trying to reach Europe. Coast guard teams continue with their searching operation to rescue possible survivors. The al-Jazeera news network has reported on Thursday that 39 persons were killed when a boat carrying refugees sank attempting to illegally enter Turkey. Amongst those who survived were Palestinians. The boat capsized of the coast of Izmir, Turkey, leading to the death of 39 individuals including women and children. Al-Jazeera reporter, Ozgun Levant , stated that some of those dead had been locked in a compartment of boat and were unable to escape as the vessel sank. 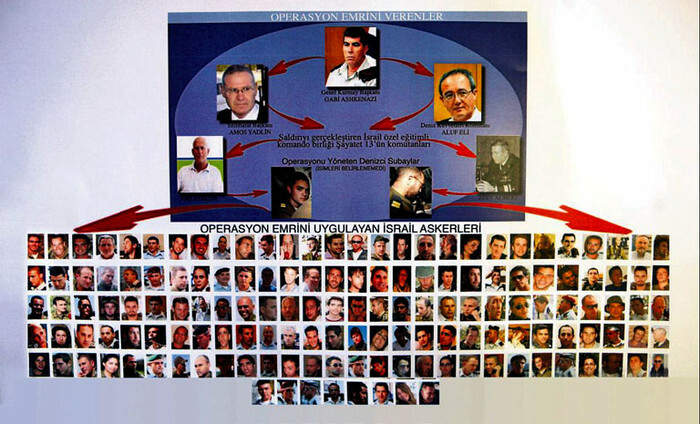 Furthermore 49 individuals were rescued by Turkish authorities. The group also included Syrians and Iraqis. At present the nationalities of those deceased are unclear. Further information will be reported as events develop. ISTANBUL, (PIC)--Turkish Prime Minister Recep Tayyip Erdogan launched an unprecedented attack on critics of his country's foreign policies toward Muslim countries living crises especially Palestine, Syria and Myanmar. Erdogan said that leftist and nationalist opponents do not know the meaning of "the one nation" and its important role toward its component countries, adding that Turkish security, safety, and well-being are related to those countries. “Some are asking us to take care of our internal problems and leave others to their own fate and problems”, Erdogan said during an Iftar meal (fast-breaking) organized by Friendship Association in Istanbul on Sunday. He stressed that he cares about both sides, adding that Turkey well-being is linked to Gaza well-being. Erdogan pointed out that a Turkish hospital is currently being built in Gaza, stressing that this project is a fraternal and humane duty. Members of Israeli heavy rock band Orphaned Land are set to become Turkish citizens, daily Vatan reported today. The Israeli band has won Turkish people's affection after staging a concert in Turkey despite rising tension between Turkey and Israel due to the Mavi Marmara incident in which nine Turkish activists were killed in 2010. "The Mavi Marmara incident broke my heart so much; I cried for days," vocalist Kobi Farhi said in the 2010 concert. The band was given a "Friendship and Peace Award" by Turkey for their contributions to peace. "The band will stage a concert in Turkey in September," Orphaned Land's manager said. "I hope the process will run properly and [the band] will be in their second homeland, Turkey, as Turkish citizens for the next concert." ISTANBUL, (PIC) -- The Turkish media dealt with the special session held by the Knesset to discuss historical allegations about the Armenian genocide in 1915 in Turkey during Ottoman rule. Several Turkish newspapers such as "Zaman" and "Yeni Safak" and "Milliyet" belittled the re-production of such scenario, especially after the failure of the previous French government, led by Sarkozy, in issuing a resolution criminalizing the denial of the alleged Armenian genocide. The Turkish press addressed also reactions inside the Zionist entity itself, leading the Knesset speaker Reuven Rivlin to say: "We do not have any intention to hold Turkey or the current Turkish government responsibility for this issue," stressing on the need not to exploit it politically. Many analysts view that Israel has become in an awkward position due to the mistakes it continues to commit against Turkey, which is still waiting for Israel to implement the three Turkish conditions to restore the Turkish-Israeli relationships, namely, to apologize for its crime, which caused the death of nine Turks who had been on Marmara ship and to compensate their families and to end the unjust siege imposed on the Gaza Strip. For his part, the spokesman for Kadima party Robert Tibayev said that Netanyahu's government should not interfere in the Armenian issue because it must be left to the historians and the international community. Some Hebrew reports confirmed that the Israeli current government led by Netanyahu is moving towards the point of no return with Turkey through searching for issues that would increase estrangement with Ankara and is enhancing its international isolation through provoking side battles with countries that were recently classified as friendly states of the Zionist entity. ISTANBUL, (PIC)-- The Israeli knesset intends on Tuesday to discuss the alleged massacres against the Armenians in a bid to pressure Turkey after all recent Israeli attempts to restore its relations with Ankara failed miserably. The Israeli regime has sought lately to restore these relations that were marred after its deadly commando attack on the Turkish aid ship Mavi Marmara in 2010. Israel made more than one disparate attempt to create an atmosphere for reconciliation with Turkey, but at the same time still refuses to apologize for its killing of Turkish citizens during that attack. The Turkish government, for its part, ignored the gestures made lately by Israel to convince it to mitigate the tension between the two sides, and insisted that Israel apologize to the families of the victims and provide acceptable recompense for them. Although Turkish premier Recep Erdogan stated clearly that no relations with Israel unless it responds to the Turkish conditions that has become red lines for his government, Israel still plays dumb. The Israeli attempts to restore its relations with Ankara included financial contributions allegedly made to a Turkish school in Van city which was struck by a devastating earthquake last year. The Turkish products have also seen lately a marked increase in the Israeli demand, after the Israeli government left its restrictions on Turkish imports. The Israeli soccer team members were seen wearing T-shirts that market a type of Turkish coffee in many of their matches. Shimon Peres, the Israeli president, honored recently an Israeli citizen who was claimed to have saved the lives of drowning Turkish people. Given that the Turkish government have not reacted positively towards these Israeli gestures and prevented the Israeli regime from participating in the world economic forum that was held in Istanbul last January, the latter once again has decided to use the carrot and stick approach against Ankara, and raise the issue of the Armenians. BEIRUT, (PIC) -- Member of the Political Bureau of Hamas, Izzat Resheq, praised the success of the Turkish government to prevent the Zionist entity from participating in the Global Counter-Terrorism Forum (GCTF) hosted by Istanbul last Friday. Resheq said in statements on Monday posted on his Facebook page that Turkey succeeded to prevent the Zionist entity from participating in the Global Counter-Terrorism Forum (GCTF), which was opened last Friday in Istanbul, and to force the United States which chaired the conference to comply with the pressures of the Turkish Prime Minister Erdogan on not inviting Israel to the Forum. He considered the Turkish position as an “emphasis on the growing and important Turkish role in isolating the usurper entity, regionally and globally, and supporting the just Palestinian cause." The Israeli "second channel" reported on Saturday, that the strained relations between the Israel and Turkey has also affected the relations of the occupation with its allies, noting the United States' succumbed to pressures of the Turkish Prime Minister Recep Tayyip Erdogan on not inviting Israel to the Forum, despite the fact that the USA was the head of the Forum. It is noted that 29 countries attended the conference, including 10 Arab and Islamic countries, as well as Russia, China, India, the Group of Eight and the European Union. ISTANBUL,(PIC)-- Turkish army accused Israel on Thursday of violating the airspace of Turkish-controlled northern Cyprus in a controversial oil and gas exploration area. The Turkish army said in a statement that the Israeli aircraft violated the airspace of the Turkish Republic of Northern Cyprus only recognized by Turkey, five times in Monday's incident which saw Turkish fighter jets chase out the intruder. The army statement gave no other details about the incident and did not identify the type of Israeli plane involved. The Turkish ministry of foreign affairs has summoned Israel's Ambassador, demanding an explanation on the incident, the Anatolia news agency quoted Turkish diplomatic sources as saying, adding up till now there is no definite answer. A scientific team of seven experts of State Audit Institution (DDK) have launched an investigation into the root cause of the death of former Turkish President Turgut Ozal. Turkey’s President Abdullah Gul ordered the DDK to investigate Ozal’s suspicious death in 1993, according to a Monday report by IRNA. Official reports suggest that Ozal died of a heart attack, yet the former president’s wife and children insist that he did not die of natural causes and was probably poisoned. The seven DDK experts seek to shed light on the true cause of Ozal’s death and determine whether it was caused by a natural heart attack or if his heart attack was provoked by chemicals and drugs. The disappearance of Ozal’s blood sample in the last day of his life in the hospital is a fact that has aroused suspicion that the ex-president may have been killed. According to Turkish sources, the DKK team will investigate all the data regarding Ozal’s medical documents, his transcribed medicine, his heart operation in America’s Houston hospital, the fact that his in-house doctor and nurse were both out on the day of his death and that a technical problem prevented house staff from starting the ambulance on the same day at the presidential residence. Turkish sources also state that the7-member team will hand in the results of their investigation to the Turkish president in a month’s time. The Israeli regime has issued a warning, advising Israelis not to travel to Turkey, citing alleged potential of attacks against them in the country. “Terror groups are planning to carry out attacks against Jewish and Israeli sites inside Turkey in the coming days,’’ read the announcement made on Tuesday. Diplomatic relations between Turkey and Israel have tarnished since May 2010 when Israeli forces attacked an Ankara-backed Gaza Strip-bound aid flotilla in international waters in the Mediterranean Sea, killing nine Turkish activists and injuring about 50 others. Tel Aviv has so far refused to either apologize for the attack or compensate the families of the victims. In another sign of deteriorating Israel-Turkey ties, most Israeli cargo flights forced to circumvent Turkey, causing financial damage to Israeli aviation sector. Turkey has restricted the use of its airspace to Israeli cargo flights, marking another step in the deterioration of the bilateral relations between the two nations. Turkey has begun banning Israeli flights carrying “dangerous materials” from using its airspace, Haaretz learned on Sunday. The ban effects El Al and CAL cargo flights carrying materials designated as “dangerous.” This designation includes most of the cargo flights in and out of Israel, as it doesn’t include only explosives, but also any flight carrying batteries and even perfume, which are flammable and require special storage procedures. From now on, Turkey is requiring that it be notified about flights of this type at least 10 days in advance, so that they may review whether or not to approve them. The new move is causing substantial financial damage to Israeli airlines, as most Israeli flights, and all those flying to the Far East, regularly use Turkish airspace, and are now being forced to use longer flight routes that circumvent Turkey. The two companies have contacted the Civil Aviation Administration of Israel, demanding Israel reciprocate with comparable restrictions on Turkish flights, which currently use Israeli airspace freely. Ties between Turkey and Israel, once close allies, have been strained in recent years since Turkey harshly criticized Israel's military offensive in the Gaza Strip in the winter of 2008/2009. Relations deteriorated further following a Turkish-sponsored aid flotilla in May 2010, which aimed to bring supplies to Gaza in violation of an Israeli naval blockade. An Israeli navy raid on one of the flotilla ships ended in a violent clash that left nine Turkish activists dead. NATO Secretary-General Anders Fogh Rasmussen (L ) and Turkish Foreign Minister Ahmet Davutoglu at a news conference in Ankara, Turkey on February 17, 2012. Turkish activists have held a protest rally to condemn the establishment of a NATO radar system in their country, saying the system aims at protecting Israel, Press TV reports. The activists from the Association of Human Rights and Solidarity for Oppressed People, in their protest rally which was staged in front of the Turkish parliament in Ankara on Saturday, said the NATO radar system will turn Turkey into an “intelligence-provider” for imperialist wars. Turkey has accepted to host the US-made radar system in the Kurecik district of the southeastern province of Malatya as part of a NATO missile system. The system is said to be part of a broader missile project that will put Iran and Russia within the range of US missiles. The protesters, who carried banners that read “NATO’s goal: War against Iran, Shield for Israel,” also voiced their anger at reports that said US and Israel had recently held a missile test, partly by using intelligence obtained from the Malatya radar system. They also called on the Turkish government to avoid taking steps that could damage Turkey’s strong ties with its neighbors. The protest came only one day after Turkish Foreign Minister Ahmet Davutoglu and the NATO Secretary General Anders Fogh Rasmussen declared in a joint news conference in Ankara that Turkey and NATO will not allow the radar’s data to be shared with any third party, including Israel. 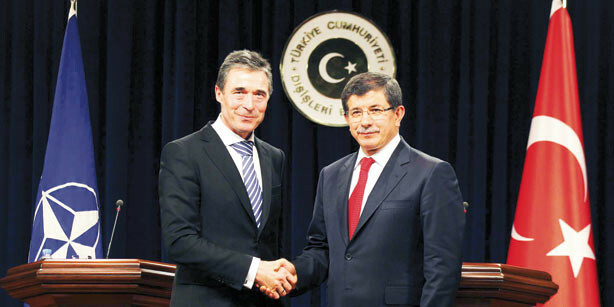 The protesters said the remarks made by Davutoglu and Rasmussen aim at hiding the reality behind the NATO radar system. Turkish activists have held several similar protests to voice their opposition to the radar system, saying the station will be of no benefit to Turkey and will even endanger the country's interests. Observers say Turkey’s agreement to the installment of the NATO missile system and its harsh stance toward Syria are among the most controversial moves taken by the Turkish government over the past year. Turkey and NATO have denied reports that the intelligence obtained by a radar system in eastern Turkey has been shared with Israel, Press TV reports. Turkey’s Foreign Minister Ahmet Davutoglu and the NATO Secretary General Anders Fogh Rasmussen in a joint news conference in Ankara on Friday stressed that they will not allow such data to be shared with countries that are not NATO member states. “We do stress that data within this missile defense system are not shared with a third country. Data are shared within our alliance, among allies, it is a defensive system to protect the populations of NATO allies,” Rasmussen stated. The Turkish foreign minister also dismissed reports by Turkish media that Israel had recently carried out a missile test partly by using the intelligence from the Malatya radar base. Davutoglu stated that such reports are completely “groundless”. Turkey announced its decision to host the US-made X-Band radar system, part of a NATO missile system, in the eastern province of Malatya last year. A military installation in the village of Kurecik has been chosen as the radar site, which is located 700 kilometers from the Iranian border. Turkish citizens have held many demonstrations in Kurecik to protest against the deployment of the NATO radar base. ANKARA, (PIC)-- Israel’s deputy premier Sylvan Shalom has reiterated his government’s refusal to apologize to Turkey over the killing of nine of its nationals in the Israeli navy attack on the Freedom Flotilla that was carrying humanitarian aid to Gaza in May 2010. He told the semiofficial Turkish news agency Anatolia, “We have said more than once, we want good relations with Turkey,” but if Turkey insisted on its request for an apology no progress would be made in those relations. Shalom said that Turkey was the one that changed its policy toward Israel. For his part, Benjamin Netanyahu, the Israeli premier, said that the diplomatic crisis between Ankara and Tel Aviv should be resolved the soonest. He added that a new page has to be turned in their bilateral relations. RAMALLAH (Ma’an) -- Turkey and the Palestinian Authority Ministry of Economy signed a deal on Monday which will grant Palestinian businessmen a year long visa to travel to and from Turkey. Coordinator with the private sector Imad al-Jallad told Ma'an that the application can be completed at the ministry in Ramallah. The announcement came as part of a plan to enhance Palestinian-Turkish relations, he added. ISTANBUL, (PIC)-- Consultations are under way between Ankara and Hamas movement to open an office for the latter in Turkey, America press reports said. Turkish president Abdullah Gul, speaking to journalists before leaving for a visit to the United Arab Emirates on Sunday, said in response to question on the news report that Hamas is an important political component in Palestine. He said that his country maintains contacts with Hamas a long time ago and many visits were made in this framework. The president affirmed that Turkey was a staunch supporter of the Palestine cause and on this basis it would determine degree of cooperation between Turkey and Hamas. ISTANBUL, (PIC)-- 30 Turkish citizens were acquitted on Friday of charges filed by a pro-Zionist prosecutor who accused them of chanting racist slurs against Jews in a basketball game. During the trial that was held in a court near the Republic square in Istanbul, thousands of Turkish citizens rallied outside chanting slogans against the Turkish prosecutor and demanding freedom for their compatriots. The prosecutor filed his charges after 30 citizens waved Palestinian flags and chanted “Damn Israel” slogans during a Eurocup women basketball game between Kayseri Kaski Spor and Israel’s Maccabi Bnot at the Kayseri Kadir Has Congress and Sports Center last November. 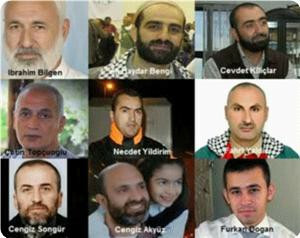 The prosecutor demanded the judge to issue one-year jail sentence for the 30 individuals. More than 40 Turkish lawyers volunteered to defend the accused and managed to convince the judge that their clients used the phrase "damn Israel" to express their condemnation for its crimes against the Palestinians and humanity and did not chant racist remarks against the Jews. The Turkish relief organization IHH, which called for the rally, demanded the Turkish prosecutor who dared to file charges against his fellow citizens to file a lawsuit against Israel for killing Turkish citizens during its deadly attack on the aid ship Mavi Marmara in May 2010. IHH said Israel should be cursed and damned because it has killed thousands of civilians in massacres since its occupation of Palestine in 1948, including huge numbers of children in its 2008 war on Gaza, and it has been imposing a fatal blockade on Gaza since 2006. Israel is still committing crimes against humanity with its occupation, daily assaults on citizens, maltreatment of prisoners, Judaization, daily demolition of homes, forced migration, segregation wall and many other violations against the Palestinians, so it should be damned, IHH added. Turkish media outlet claims fighter jets called up to intercept unmanned aerial vehicle circling over missile batteries, radar equipment. An Israeli drone flying over Turkey was nearly intercepted by Turkish aerial defense forces, an Istanbul-based media outlet reported on Tuesday. Two F-16 fighter jets were called-up to the area, but failed to locate the drone. 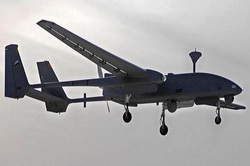 "The Israeli 'Heron' drone was detected spying on military headquarters in Turkey's southern Hatay province," the report stated, adding that "the aircraft hovered over the Turkish forces in order to capture images of missile batteries and radar equipment." A Turkish officer, who reportedly noticed a bright light in the sky, asked a senior sergeant to confirm the identity of the object. When they received confirmation, the soldiers abandoned their post for fear of an attack. Meanwhile, the report claimed the Turkish radar continued to monitor the unmanned aerial vehicle, while the Turkish army waited for authorization to shoot it down. The report stated that "by the time the order was given, the drone had already left the area." The IDF Spokesperson's Unit refused to comment on the Turkish report. The IDF maintains full coordination with the Turkish army regarding all flights in the eastern Mediterranean region. Turkey has also purchased from Israel 10 drones of the same kind in recent years. The Heron drone is designed for prolonged flights at medium altitude. During its flight testing, the aircraft preformed a 52 hour flight, but its operational flight time is much lower due to the heavy weight of the cargo.